It’s what’s for dinner when you are craving the taste of lasagna but don’t have the time or energy to fuss with making a traditional lasagna. 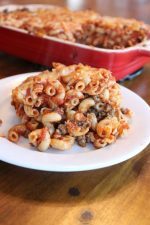 This cheesy, well-seasoned tomato pasta, with a hearty helping of ground beef, hits the spot when you are looking for a delicious pasta dish. Easier, quicker and just as delicious as lasagna! Made some of my cheater’s lasagna. Not because we needed a quick dinner or because I had a craving for this dish but, because I had the time. It always makes the kitchen smell so good! Why is this a favorite pasta recipe of yours! If you are a regular follower of my blog, you may have noticed I’m starting to add some of my ‘go-to’ recipes. It helps with that dreaded, “What’s for dinner.” question. The question so many of us mom’s hear and cringe at. I will share my meals with you and PLEASE, if you have any ideas on simple, foolproof recipes, please do share them with me. Let’s make this a resource for everyone trying to figure out what’s for dinner! This is a recipe I make with the taste of lasagna (pasta, sauce and cheesy! ), but wayyyyy less work. Quick, easy and certainly one of those dishes you can prepare ahead of time. I call it cheater’s lasagna and my kids know exactly what I’m making. 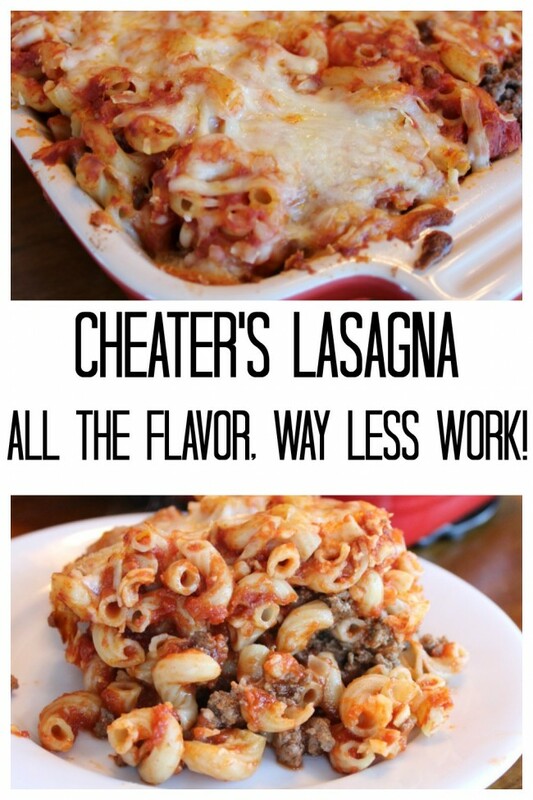 A delicious cheater’s lasagna recipe. 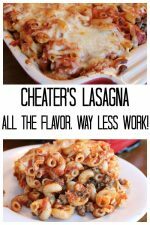 This easy and delicious recipe has all the flavor of lasagna but way less work! Cut calories and fat by rinsing your meat. In a 9 x 11 pan OR two 7 x 10 pans, spray with cooking spray, then place a layer of spaghetti sauce on the bottom. I like using two smaller pans. Less leftovers for my family of 4 and I can tuck one of the pans in the freezer for another day. Boil the box of noodles. Go ahead, boil the whole box. Follow the directions on the box but take off about 2 minutes. Drain then spread a layer of noodles on the bottom of the pan(s). Add a layer of mozzarella. About a third of what you plan to use. Save the rest so you can be generous on the top. Add all the cooked ground beef. Now is a good time to add any extra seasonings if you would like to. I use dried minced onions because somehow, there are no onion ‘chunks’ (which my kids don’t like) in the finished dish. Also add some basil, oregano and/or salt and pepper if you would like more flavor than your sauce provides. I do think you need some, just to flavor the meat. Add a generous layer of sauce. Add a generous layer of cheese on top! Maybe some parmesan cheese for a little extra flavor. I bake for 30 minutes at 350F (if the ingredients are hot and just assembled) or about 40 minutes if from the fridge (make sure it’s thawed if you froze one). Gently cover with some tin foil if the cheese is browning too much. After it’s done, let it sit for about 5 minutes prior to serving. It helps the dish set and makes it less messy to serve. Enjoy! I hope you and your family enjoy my cheater’s lasagna recipe. I’m all about making a good meal that is nutritious, tasty, but not too fussy and time-consuming. If watching calories have a smaller piece and a salad with it. Or, if this is a little more of an indulgent meal, make sure to have some garlic bread with it. Follow this link for my homemade garlic bread recipe. Do you have Other Pasta recipes? Here are a few other pasta recipes that are popular on this site. They are delicious!! Make sure to sign up with your e-mail address to get more recipes and simple DIY’s sent to your in-basket. 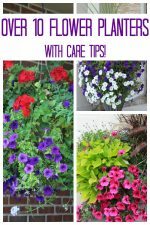 « More favorite planters (flower container gardens)from my neighborhood (10+)! 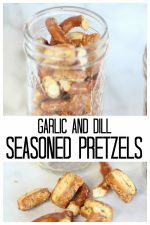 This recipe is easy but delicious! Hope you enjoy it as much as we do. I have no idea why I didn’t think this up myself! Glad you were clever enough to do it for me. Going in to town for a month’s worth of groceries and I will be making sure I have enough cheese and noodles to do this recipe. I just made this tonight… I loved it! Something simple with a few steps, and then just throw in the oven is always a nice go-to. I just found your blog and I’m so happy I did! Thanks for a great recipe, I can’t wait to try your others! I always add a little more on top of my portion too! My kids just don’t like it ‘saucy’. It’s easy to add a little extra on top but hard to take it away. Glad you liked it! Superb taste for me but will add another half jar of sauce as my wife and sister-in-law like it juicier. Yes, might as well cook during our cold, long winter! Thank you for sharing your crock pot recipes. Your Turkey breast recipe looks awesome! To my readers, follow the link Carrie provided in her comment to find 7 crock pot recipes! No, I have not tried making in a crock pot. My only concern would be how mushy the noodles would be if overcooked. Otherwise, it should work well if you use enough tomato sauce. If you do try to adapt it to a crock pot, please do let me know how it works out for you! We were stuck in the house a couple weeks ago with very cold weather, so I can understand why you cooked so much! This meal looks delicious! 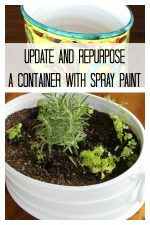 Thank you for linking this up to Frugal Crafty Home Blog Hop! 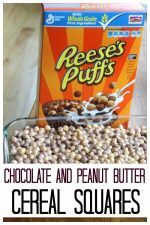 Have you tried making in a crockpot?